A new chancellor took the office for the first time in four years Saturday, bringing in promises that a campus faced with a $110 million deficit would cut that to zero by 2020. At the same time, however, the same campus’s athletics department is staring more than $400 million of debt in the face. Such is the situation at UC Berkeley, where Carol Christ became chancellor and Cal Athletics faced a nearly $22 million deficit — before it even starts paying the principal of that debt. A big source of that deficit is the more than $18 million interest payment that the athletic department had to make. Those payments will continue until 2032, then the payments will jump to $30 million as the principal kicks in before eventually nearing $40 million per year. “I think it’s corrosive for any unit to exist with a deficit that the campus ignores for decades,” Christ said. In July 2016, then-chancellor Nicholas Dirks convened the Task Force on Intercollegiate Athletics to address the massive payments on Cal Athletics’ docket — a debt that made Cal’s the most debt-ridden athletic department in the country — and the campus’s then-$150 million deficit. But with the head coaches for the department’s biggest revenue generators — football and men’s basketball — gone and replaced, it was unclear if those teams could experience a turnaround. A turnaround that, if it went well enough, could fix Intercollegiate Athletics, or IA’s, finances as deficits grew. Since the fiscal year ending June 2013, the revenue generated from ticket sales has dropped dramatically, from more than $14.5 million that year to a bit more than $10.5 million in the fiscal year ending June 2016. There were reports that those numbers were looking even worse for the football team this year, with season ticket renewals on pace to drop 30 percent before head coach Sonny Dykes was fired. “We believe that a coaching change will reinvigorate Cal football, stimulate lagging ticket sales and renewals and energize our alumni, donor and fan base,” UC Berkeley Athletic Director Mike Williams said in an email to donors at the time of Dykes’ firing, according to the San Francisco Chronicle. The task force, which came out with its report in June, also recommended that “underutilized facilities and assets be identified and reviewed” to see if there are new ways of monetizing them. The process of finding an external, independent reviewer is underway, according to campus spokesperson Dan Mogulof. Speculation arose about whether the only way to meaningfully cut costs was to cut some of Cal’s 30 sports teams. That question, however, is complicated by Title IX’s requirements regarding women’s sports. 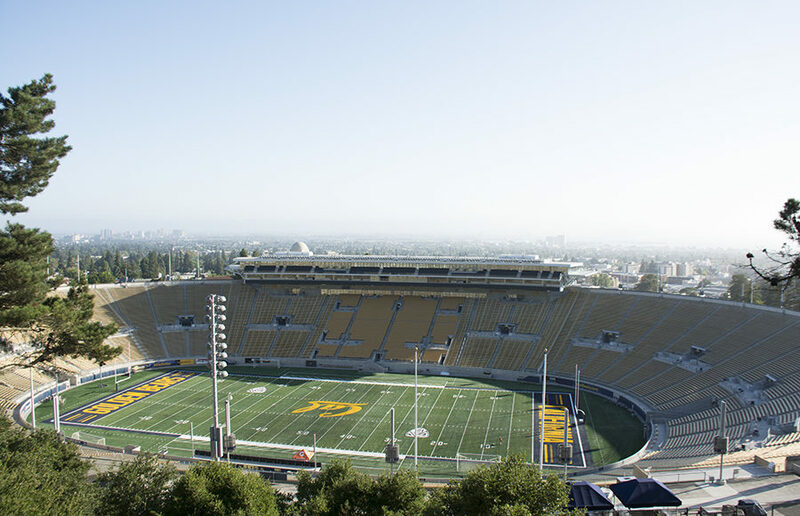 Athletics departments can comply with Title IX in three ways, known as prongs, but at Cal, only prongs one and three are considered serious options. Prong one mandates that the gender distribution of athletic opportunities correspond to that of the campus at large, which isn’t true at Cal. According to the task force’s report, 52 percent of campus undergraduates are women compared with 42 percent of athletic participants at Cal. That leaves prong three, which the department currently uses to comply with Title IX. This prong requires the department to meet interest for a varsity sport by the underrepresented gender if Cal has sufficient ability to “field a team” and a reasonable amount of competition within the region. These prongs complicate the question of cutting sports because if Cal were to cut a women’s sport, it would fall out of compliance with prong three. It would then have to comply using the first prong, meaning Cal Athletics would have to cut a significant number of men’s sports before cutting even one women’s sport. With the complicated question that is Title IX compliance hanging over its head, the task force did not come to a conclusive recommendation about cutting any sports. “Because (prongs one and three) are so different in the course that they would put Cal Athletics on in terms of balancing its budget I believe the decision about prongs has to be made this summer,” Christ said. Additionally, the financial savings from cutting down to the NCAA minimum of 14 sports might be outweighed by the potential negative effect to campus philanthropic efforts, according to the task force. “I don’t think that there are going to be decisions made this summer about reducing the size and scope of the athletics program and there are a lot of prior decisions that need to be made before we get to that one,” Christ said. Instead, the task force said, needed savings could come from stricter cost controlling mechanisms, while some of its members thought the campus needed to spend “significantly” less on athletics. The task force, however, expects there to be a deficit as long as the stadium’s debt remains on the athletic department’s books, according to the task force’s co-chair Robert Powell. As of now, campus provides $5 million of institutional support to the athletics department. That’s not the extent of campus’s contributions, however, according to Powell, who is also the chair of the UC Berkeley division of the Academic Senate. Budgeting differently so some of athletics’ responsibilities go to campus would help move Cal Athletics’ deficit down. Christ also mentioned the idea was a possibility. “You either have to rebudget the unit so that they’re working within a realistic budget or you have to increase revenues or reduce expenditures so that the budget is balanced,” Christ said. Taking some of the stadium debt off Cal Athletics’ books and moving it to campus could help reduce the deficit. Powell pointed to the parts of the debt specifically related to seismic retrofitting as a possibility. According to a joint letter written by Christ and Dirks when the task force report was released, Cal Athletics was on track to reduce its deficit by $4.65 million this upcoming year. With so many questions facing the future of athletics, it’s timely that the department may finally be entering a new era that might be required for making changes with Christ, head football coach Justin Wilcox and head men’s basketball coach Wyking Jones all taking over this year. Christ, along with Williams, is tasked with leading the department into a murky future filled with questions. How many sports will there be? How will Cal Athletics pay off more than $400 million of debt? Will the chancellor’s office continue covering athletics’ deficits? For the first time in four years, a new leader will take over the campus and the athletics department — with little experience in major college athletics — at an increasingly crucial juncture, with teams, hundreds of millions of dollars and student-athletes’ livelihoods as the stakes. Hooman Yazdanian is the managing editor. Contact him at [email protected] and follow him on Twitter at @hoomanyazdanian.